Digital Economy Act delayed until at least 2014 | What Hi-Fi? 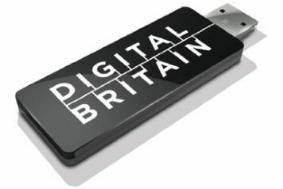 The controversial Digital Economy Act, introduced during the last days of the then Labour government in 2010, has again been delayed and is now unlikely to be enforced until at least 2014. The Department for Culture, Media and Sport has confirmed to the BBC that measures proposed under the Act – such as sending letters to suspected illegal downloaders and potential disconnection from the internet – will not be implemented for another two years. The delay was welcomed by the Internet Service Providers' Association. Ever since it was introduced, the Act has been mired in controversy, with legal challenges by the ISPs who argued it would be unfair to expect them to police user behaviour on the internet. Last month BT and TalkTalk failed in a bid to have the Act overturned.